Have you noticed plant labels in pots or on large nursery display posters that have Texas Superstar on them? According to the Texas Department of Agriculture, plants receiving the Texas Superstar designation are identified to the consumer with this trademarked name and logo. After 10 years of testing, only 37 plants have been certified as Texas Superstars. That's saying something special about the plants that have this distinctive designation. So, what is a Texas Superstar? Texas Superstar plants qualify for earthkind landscape because of their beauty, production, disease resistance, insect tolerance, low maintenance and maximum protection for the environment. During the Victoria County Master Gardener Spring Symposium this past April, Nueces County Extension Horticulturist, Michael Womack explained that Superstars are plants that have been field tested by Texas A&M University specialists and found to be "top-choice plants." Four of our favorites from the Texas Superstar collection shine in our garden. Our first to address is New Gold Lantana because it flowers from spring to fall. It is a drought-tolerant, heat-loving, low-maintenance perennial with an abundance of yellow flowers that attract butterflies. Also of note is its deer resistance due in part to the hairy, prickly stems. When rubbed and bruised, the leaves have a disagreeable odor. Interestingly, the plant is poisonous to cattle and sheep, though usually not browsed by them. New Gold reaches a height of 2 feet and spread up to 4 feet and is brushy. It should be cut back to 8 inches tall after a frost. Seeds are not a problem with native lantanas, so there is no need for deadheading. Our second favorite is Trailing Lantana, a spreading perennial with a profusion of either lavender, purple or white flowers that also attract butterflies. These plants withstand high heat and are wind and drought tolerant. They should be planted in full to part sun and will grow to a height of 1 foot and spread to 4 feet. The plants become a fast-spreading evergreen ground cover, or they can be trained as small vines. It too should be cut back in winter to produce new growth. 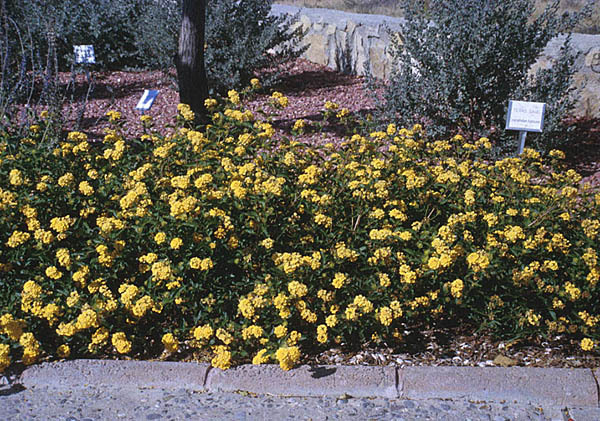 The trailing lantana is known to be resistant to lacebugs, as is New Gold Lantana. Our next two favorites are Burgundy Sun Coleus and Super Sun Plum Parfait Coleus. They were among 70 cultivars field tested for three years and were identified as being full sun tolerant. Burgundy Sun is characterized by large, oval to heart-shaped leaves that are a deep, rich burgundy color. Super Sun Plum Parfait has beautifully ruffled, lance-shaped shaped leaves and is a purplish plum color early in the growing season. As temperatures climb, Plum Parfait becomes even more attractive as its leaves develop bold pink margins. 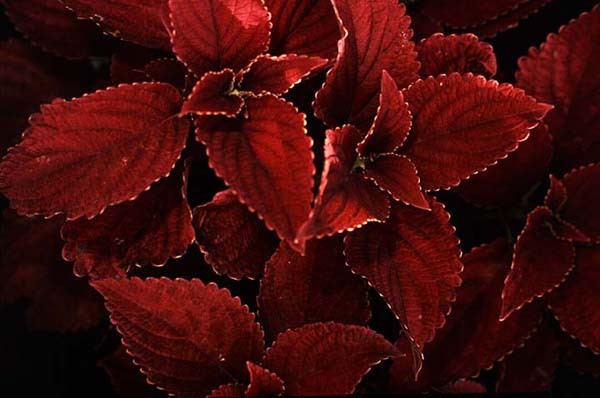 Both varieties of coleus are low maintenance, annual bedding plants. Being annual, they will freeze. Good drainage is a primary requirement for coleus whether planted in the ground or in containers. Poorly drained soil and over-watering spell disaster for these plants. Plant coleus in the full sun to moderate shade. The approximate height and width for these coleus is 3 feet tall by 2 feet wide, and they look wonderful in massed plantings. Since they do grow 3 feet tall, low growing pink or white blooming annuals planted in front would provide dramatic contrast. Mr. Womack recommended planting the Superstar New Gold Lantana and Plum Parfait or Burgundy Sun together for an outstanding display. These Texas Superstars provide beautiful blooms and colorful foliage during our very hot Texas summers. Using Texas Superstar plants helps to further beautify and protect the Texas environment because a few cents for the sale of each of these plant labels is returned to Texas A&M University to fun research.